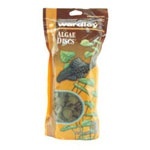 Wardley Premium Algae Discs are an all vegetable food for bottom feeders and algae eaters. Formulated with spirulina as its main ingredient, a blue green algae that is known for its abundance of color enhancers. With the addition of stabilized vitamin C and a multivitamin supplement, this food is a perfect diet for herbivorous fish. 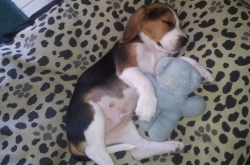 It is conveniently packaged in re-sealable, stand up pouches.